In drought conditions there is a significantly higher risk of yeast contamination . In a US trial 28% of 183 drought affected maize samples had yeast counts above 10,000,000 CFU/g. Risk of decreasing feed intake due to alcohol production, DM losses, reduced energy and high nitrate content. Risk of aerobic instability and heating of the forage when opened. High levels of sugar available. 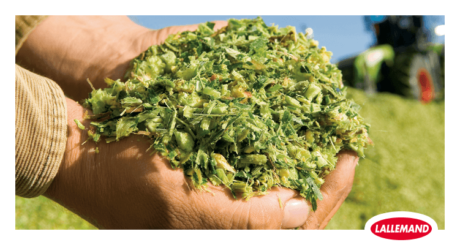 A high sugar content in silage is more susceptible to heating than a high starch content. Drought stressed plants are more vulnerable to mold contamination and higher mycotoxins risks. Do not uncover more of the silo than will be fed daily. Remove sufficient silage to prevent silage heating > 20 cm. Do not allow silage to sit in loose piles for long periods, as it may start to deteriorate. Remove silage from the silo immediately before feeding. Use an appropriate toxin binder to deal with potentially high mycotoxin levels. Use of an heterofermentative bacterial inoculant will help prevent yeasts, molds and mycotoxin development in the silage. Figure 1: Yeast contamination (n=183, Jul-Sept 2012, Dairyland Labs).